The best of the best, from all over the city and to Bellevue, too. 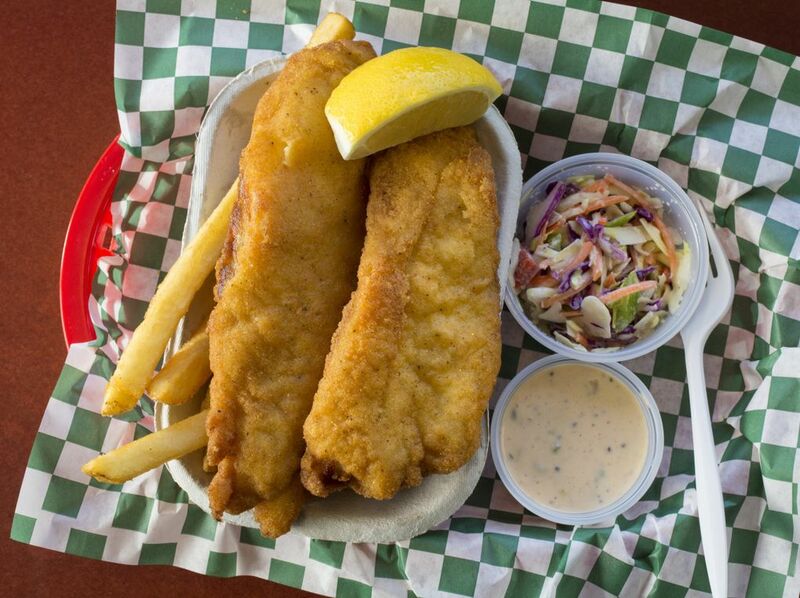 Fish and chips feels like summertime, and with Seattle’s recent record-breaking highs, the season’s started early. (Thanks, climate change!) We undertook an extensive taste test to find the area’s very best, be they battered or breaded. Our blood is now 62 percent fryer oil, but we’d still eat these five renditions again in a heartbeat. 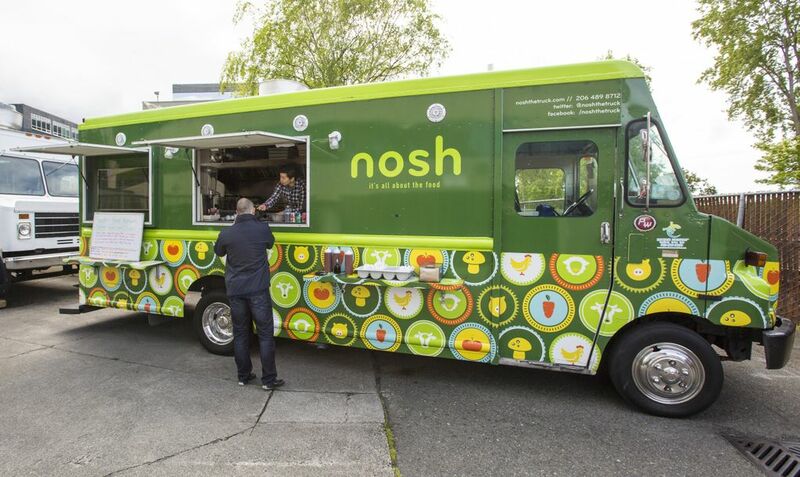 Food truck, daily locations and hours at noshthetruck.com. Housed in a Burien strip mall, this modest but spick-and-span spot solves the beer-battered versus panko-breaded question by offering both. Get the beer-battered — the coating puffs and tendrils into extra-crispy bits, and the two-piece cod ($11) features thick but still-juicy fish. (The panko-breaded was a tiny bit dry.) The habanero tartar sauce has a legitimate kick, while the chipotle ranch is a fry-dipping favorite for good reason. The coleslaw’s got golden raisins for a little extra sweetness, and everything’s served on metal trays, like at a fancier place in, say, Ballard. Owners Manda and Van Kirk started out with a food truck, The Fish Basket, and — good news! 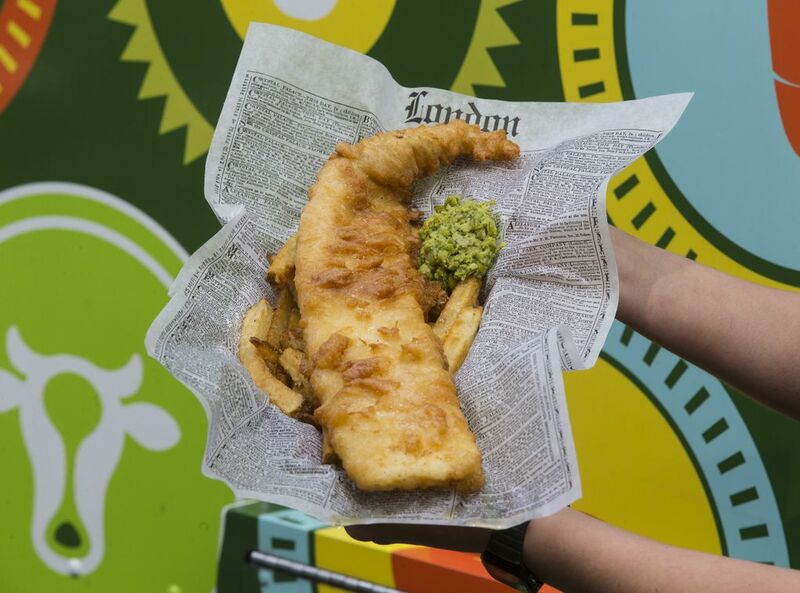 — they’re just now getting it back out on the road, bringing their fish and chips to Seattle, too. — B.J.C. 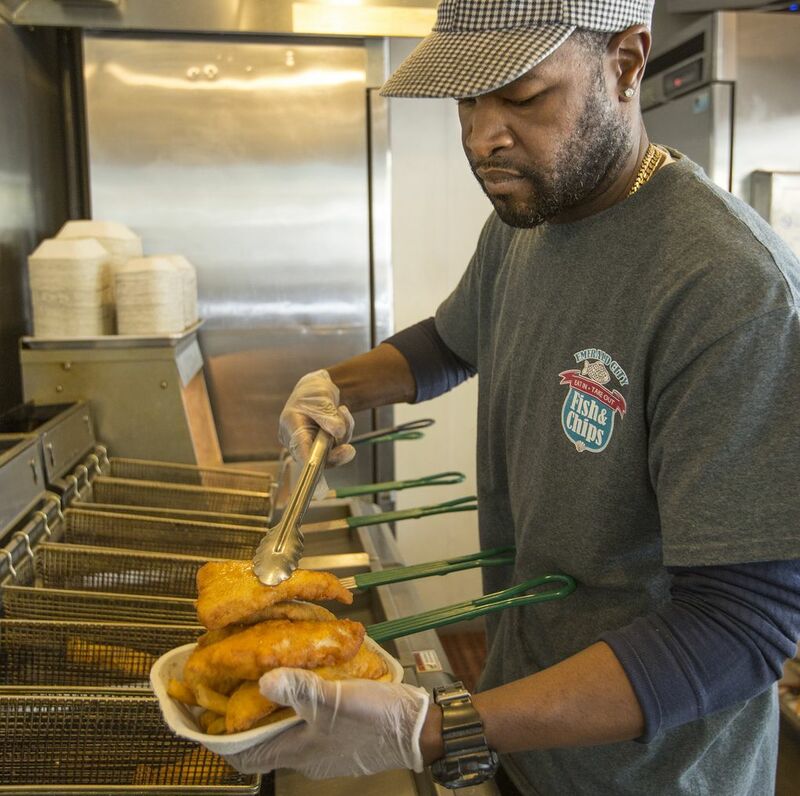 With family hailing from Louisiana, Stevie Allen knows his way around a fish fry. His cheerful, shipshape little shop on Rainier has one two-top, five silver stools and a couple of sky-blue picnic tables out front, plus a jazz soundtrack and an excellent rendition of fish and chips. His corn-flour breading creates a thin, perfectly golden, crunchy crust; the fish pieces aren’t thick, but nor are they at all dry, and the light and fresh-tasting cod is a deal at $6.25 for a two-piece. (Also available: catfish, salmon, halibut, prawns, oysters and more.) The fries are of the uniformly pale-gold ilk, given a pleasant dusting of house-made seasoning salt with paprika and cayenne; the tartar sauce is a little spicy too, from a dose of Sriracha. Your order also comes with a small cup of coleslaw, lively with onion in the way that shows it’s homemade instead of from an industrial bucket. Bonus: Allen’s such a friendly guy that Emerald City feels like everybody’s neighborhood place. — B.J.C. Spud or Sunfish? The denizens of Alki Beach are divided into one camp or the other. Here’s a vote for Sunfish; its cod is fried textbook-perfect — not greasy, with a thin but crunchy batter and a barely opaque fillet that flakes upon biting. Spud’s was a tad dry. Sunfish (two pieces, $9.29) tastes fresher, and its tartar is also creamier than Spud’s overly tangy version. (Spud, though, has the better fries — crispier.) But enter this debate at your own peril. Like the Detroit hot dog war between American Coney Island and Lafayette Coney Island, this one has never been settled by any one opinion. Sample both — they’re five blocks apart — and decide for yourself. — T.V. Ivar’s is still good after all these years, and the waterfront one still has a ton of scary/awesome seagulls — plus free valet parking via downtownseattle.com/neighborhoods/waterfront through May 31. Marination Ma Kai on Alki has outdoor seating, an incredible view, fruity cocktails and far-above-par panko-crusted fish and chips (with ginger-miso and kimchi tartar, too — get both). Mollusk in South Lake Union has extremely tasty (if petite-portioned) halibut and chips on its bar menu right now, with a few spears of deep-fried pickled asparagus nestled with the fries. Happy fish-and-chipping!